Year2200 is complete mod featuring nuclear reactors, nuclear engines and jets, as well as new resources, an overhaul of the current ISRU system and the ability to build rockets from SimpleConstruction. To build a hypersonic jet that doesn't need fuel, you'll first need a nuclear reactor. The Solid Fission reactor has low cooling requirements. This one produces 188MWt. It's always a good idea to pin the reactor's temperatures on the screen. 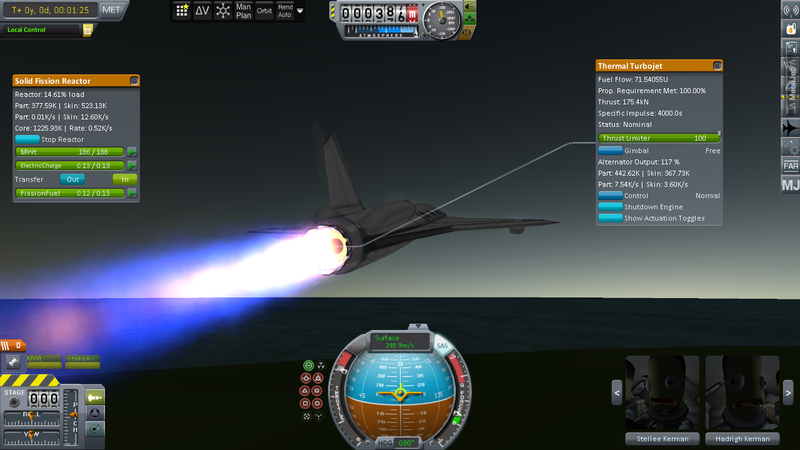 The thermal turbojet doesn't produce much thrust on the ground, but it rapidly increases with airspeed. The 'fuel flow' is the current megawatt consumption. 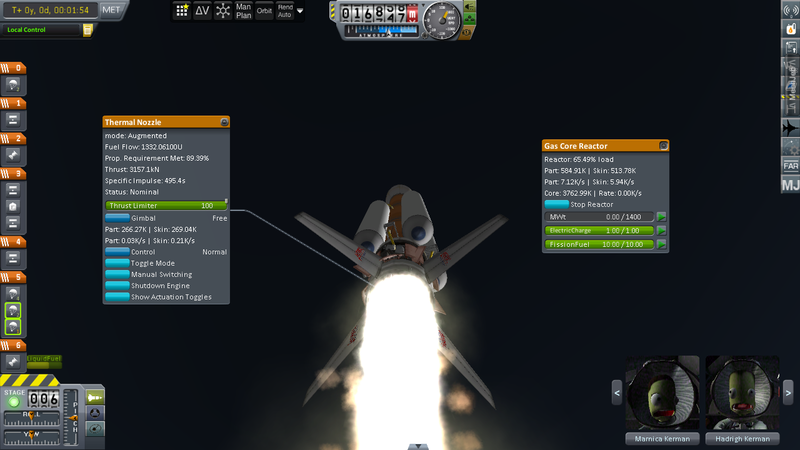 You could attempt a heavy lift rocket using the incredible thrust of a Thermal Nozzle in Augmented mode. The Gas Core reactor is lightweight and powerful. Just be sure to watch the temperature! You could build a Lunar Tug, using the awesome Isp of the Magneto-Plasmadynamic Thruster, powered by electric MWe and consuming LqdHydrogen. A Fission Fragment reactor is perfect for a probe. Mars scanned for Water. It is pretty abundant. 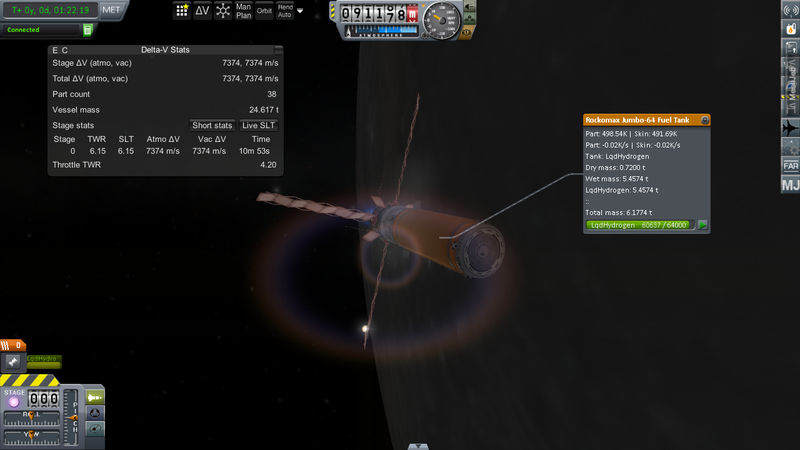 You can scan for Ore, Water, FusionFuel and FissionOre. A mining rig displaying here its drills. A Nuclear Processing Plant handles the conversion of FissionOre into FissionFuel. All nuclear reactors have one year's worth of nuclear fuel. Nuclear fuel tanks can extend that amount. 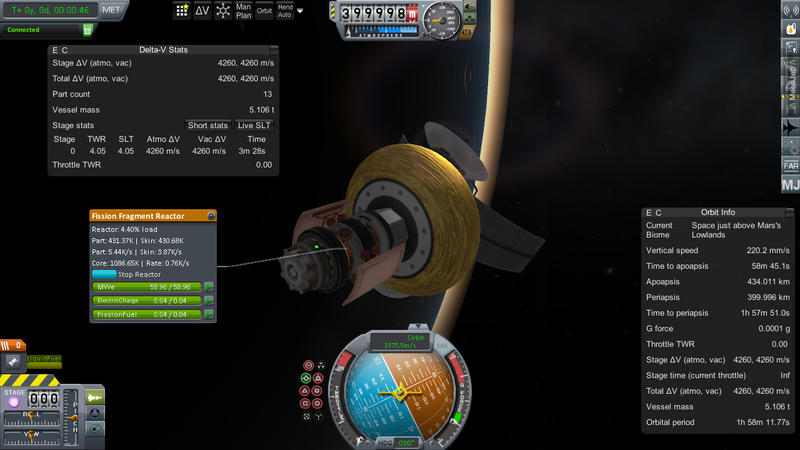 The AdvancedISRU produces fuels according to more realistic processes. Oxidizer and LqdHydrogen come from Water. 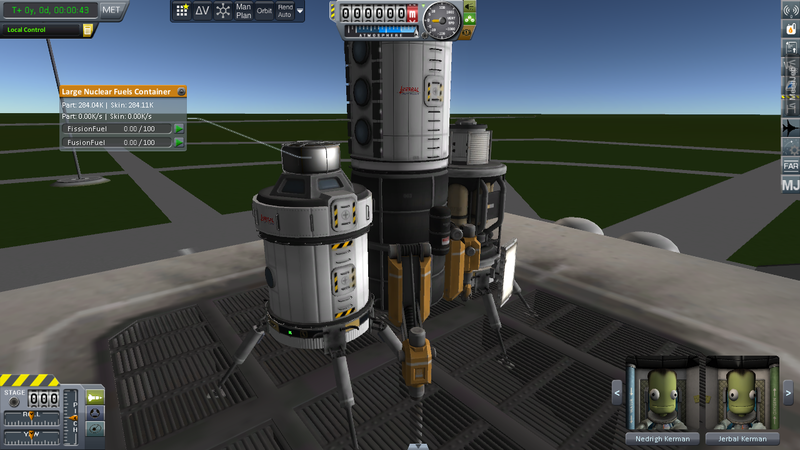 LiquidFuel and Monopropellant require Ore.
RTGs have been rebalanced. This new, larger version is best suited for the Pulsed Fusion reactor. Five nuclear reactors producing two types of output. New ISRU units and reworked resource converters. Three nuclear resources and two fuels resources. Resource switching for all Ore and Fuel tanks. Fixed Medium Nuclear Tank mass. Massively increase CoreShutdownTemp as a possible solution to high timewarp adding millions of degrees of thermal energy to the core. Don't time-warp with a reactor running. 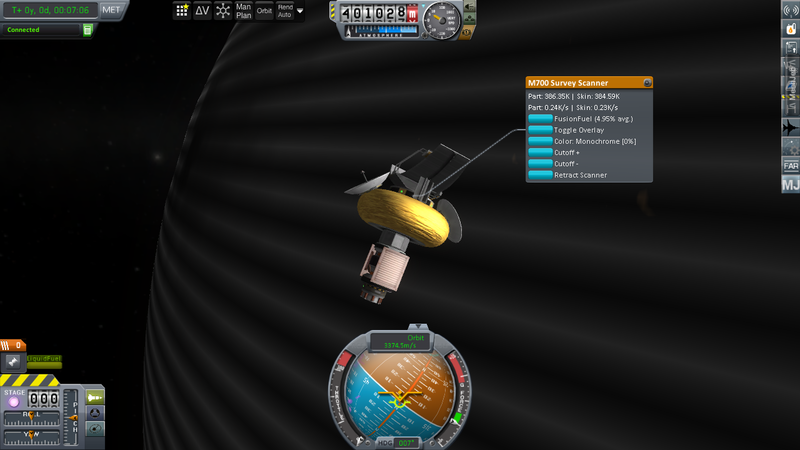 Physics warp (1x-4x) is okay. v11 might have fixed this. 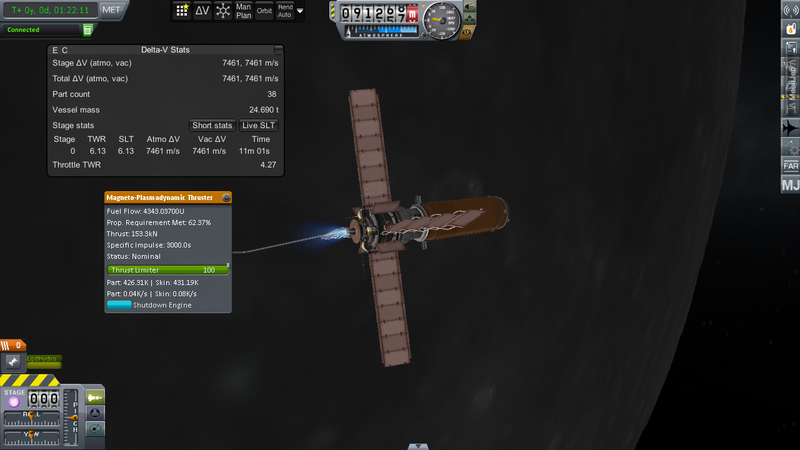 This mod contains plugins from InterstellarFuelSwitch and ExtraplanetaryLaunchpads, so thanks to @FreeThinker and @taniwha for providing them. Thank you! I spent a huge amount of time on heat and temperature balancing. 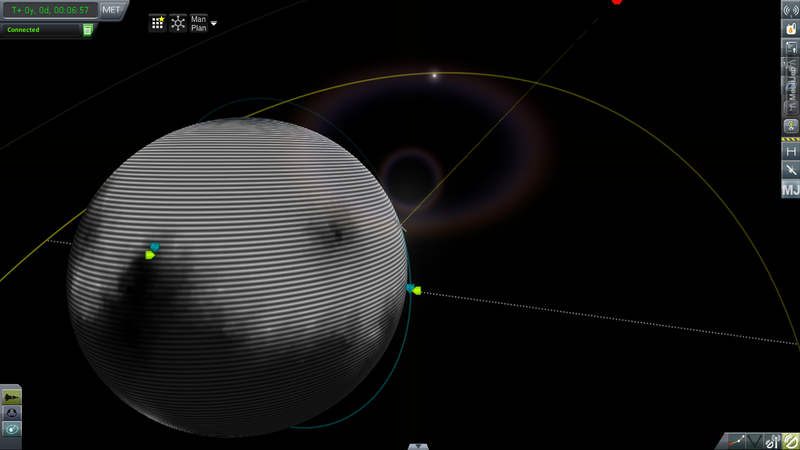 Getting all the engine's FX to work properly is the next step. I'm going to have to try it out in a separate install sometime, maybe I'll replace NF at some point. This is definitely on my list for my next career game. Recommending RSS - does that mean everything overbalanced vs stock? It's balanced against real life values. However, it's less powerful than Interstellar Extended, and people play that in stock, so I shouldn't be too worried. If testing in stock proves them to be too powerful, I'll release a stock balance patch. Congratulations on the release, also this seems really interesting. A little question: the mass/density of the LqdHydrogen is the same as Community Resource Pack? If not, there will be some issues for people using it. I did copy the values for LqdHydrogen from Near Future's section of CRP. I'm glad you find it interesting. If I have time and manage to mitigate the effects of random x64 crashes, I'll start a Saturn Colonization play-through to showcase the mod. Probably a silly question is the resource converter in the hitchiker right? Its converting FissileOre to Fissilefuel but has containers for FissionFuel and FissionOre (and FusionFuel) and I can't see the fissiles in resources.cfg ? The resource converter from fission ore into fission fuel is in the hitchhicker, now called Nuclear Processing Plant. I think @Revenant503 has a point, there's a resource defined named FissionOre, but your converter uses one called FissileOre. Easily fixed. @MatterBeam, I had a quick look at the resources you've defined and there's a lot of overlap with the Community Resource Pack. The resources you've defined differ in some ways to the ones in CRP, which may cause issues for anyone using it. Changing the cost, density or distribution of Metal, RocketParts and Water for example, is going to have implications for anyone using MKS/UKS, ExtraPlanetary Launchpads, and KSPI Extended respectively. Perhaps it would be better to just bundle/require the Community Resource Pack and adjust your parts accordingly instead of reinventing the wheel? Perfect for those that don't want the hassle/overhead of KSPIE parts but still want the toys - like me! Thank you. Will be fixed tomorrow morning. I like CRO but it makes resource scanning a hassle. There's dozens of resources for every planet, like Karborundum and such, which make it a challenge to find the resourve map you're looking for. I might make an MM patch so that I can use CRP but 'hide' all non-relevant resources. Mind if I ask a few questions? 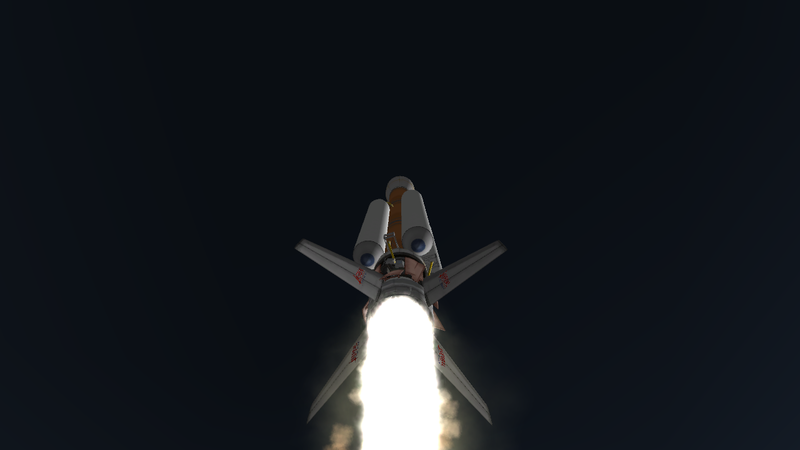 Is this overpowered in the stock system? 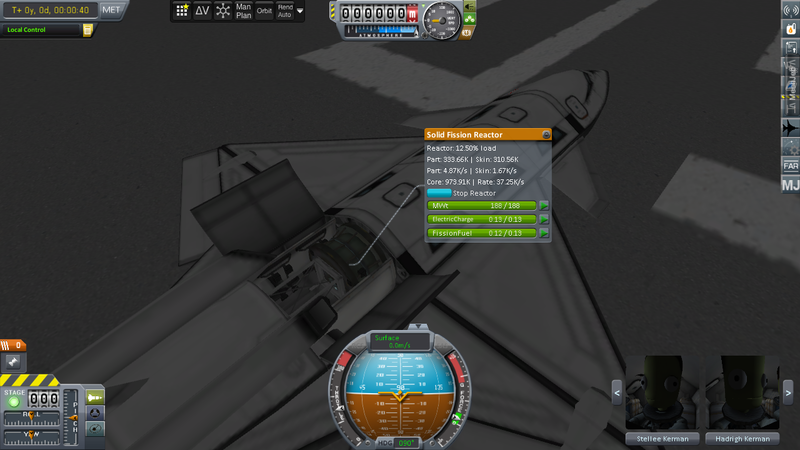 Does this work with Kerbal Atomics? What about EPL? -Added an MM patch the prevents resource spam in the scanners. 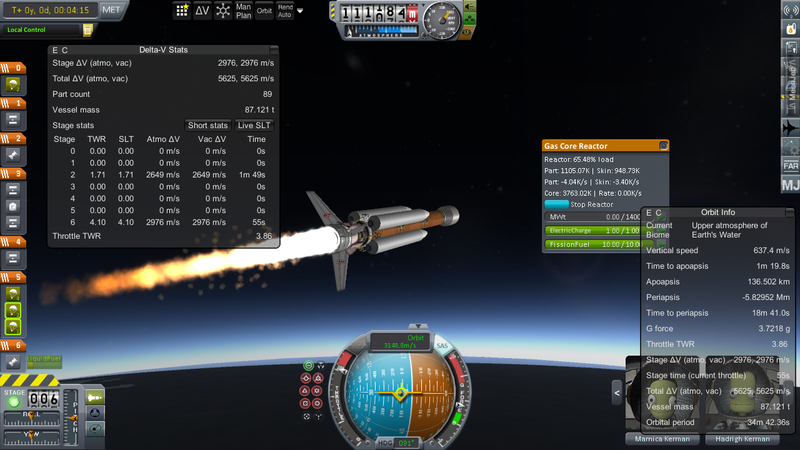 It is not very overpowered in the stock system. 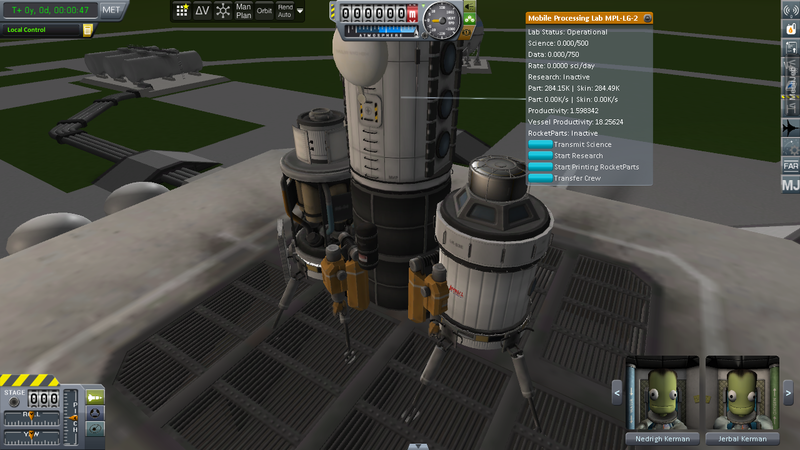 For smaller spaceships (1000-3000dV), nuclear reactors are the worst option as they mass quite a lot. 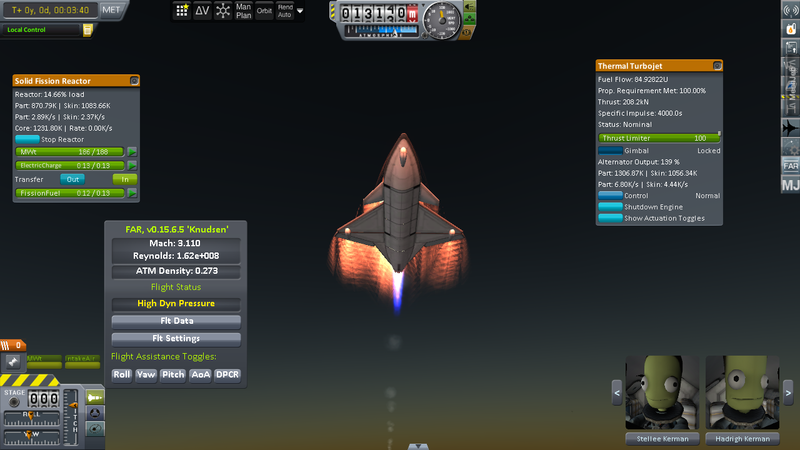 For the largest spaceships (6000dV+), they are a better option than stock. 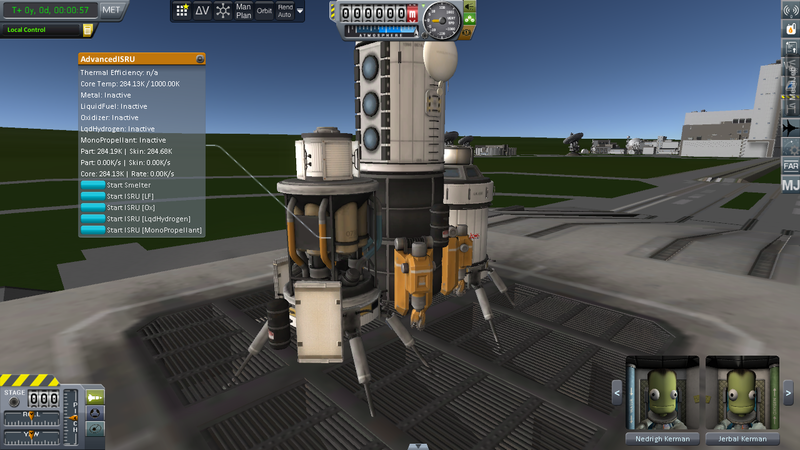 I haven't changed anything that Kerbal Atomics needs or uses, so they are compatible. EPL is integrated in the form of SimpleConstruction, which allows you to use EPL but with stock parts. Actually looking at the configs I liked the way you did that, your giving Fusion and Fission a reason but still leaving a space place for chemical which fits well. The only thing I think it needs is a Community Tech Tree patch, although I'm not even sure of that considering how sparse the tree will be unless another mod is carried in. I think you'd have to delete some folders and files to allow EPL to work in its original configuration, but you'd still have to rely on some Year2200 parts to handle producing FissionFuel/FusionFuel. I'll work on it. Yeah, I didn't go down the path of 'fusion is the future!' and make it completely trump fission. If you open the 'balance.cfg' file, you'll find the figures I used. I'll be working on all the compatibility patches as soon as I'm confident that there are no more bugs and mistakes in the mod. 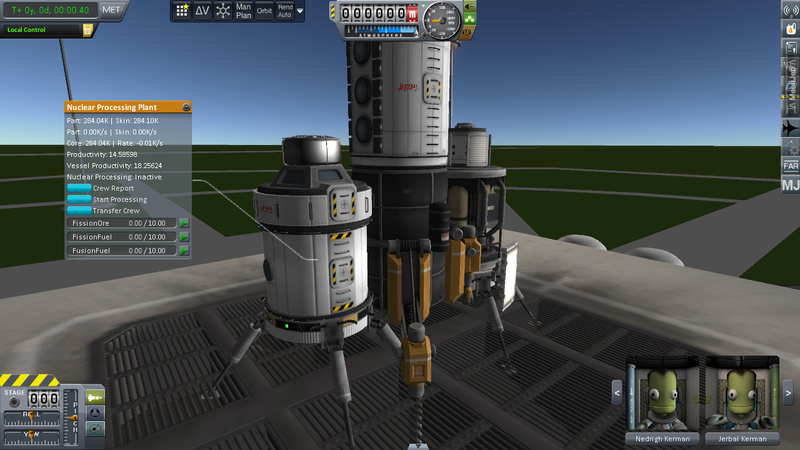 Kerbal Atomics and MKS both have parts to reprocess DepletedFuel to EnrichedUranium and process Uraninite to EnrichedUranium. I believe this part of CRP, so compatibility here would be very useful, and would ensure compatibility with MKS/EPL etc. Would this be possible? 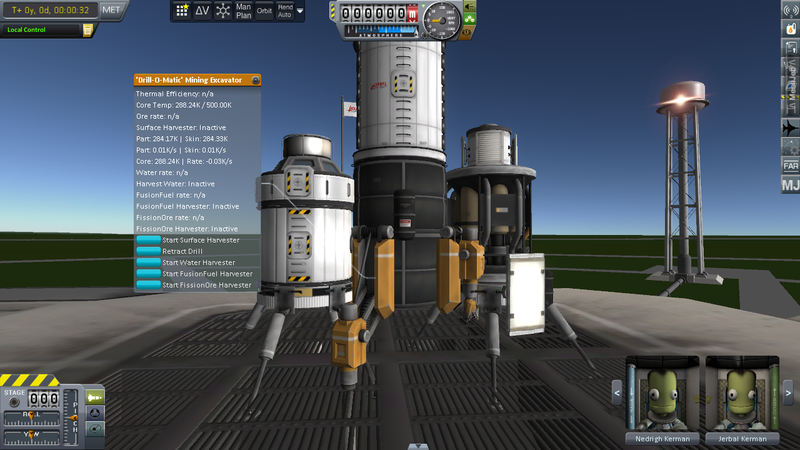 -I'm using a simplified, unitary system where 1 FissionFuel = 1 year of operation. -All fission reactors are assumed to be breeder reactors, so any waste already has been 're-used'. 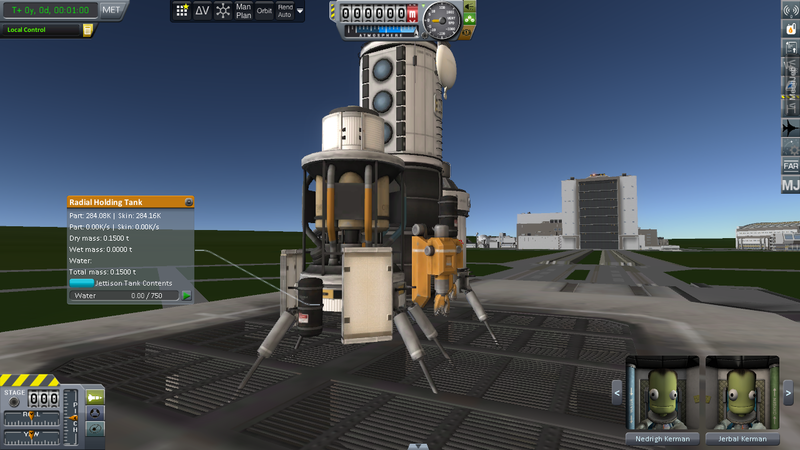 It is more realistic than a lightweight, space-rated nuclear reprocessor that can be powered by solar panels. I definitely see where you're coming from there, but an optional patch where this works with MKS would be very much appreciated. 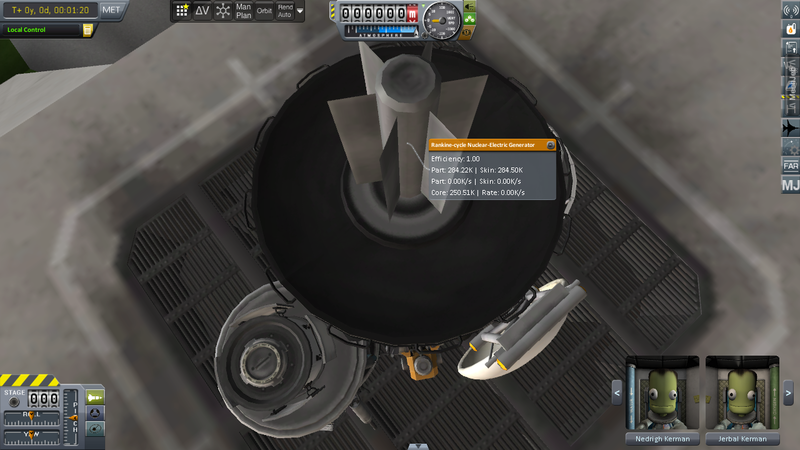 For exampole, have it use an amount of EnrichedUranium equivalent a year of fission fuel, and place the reactors furhter along in TT than reprocessable non-breeder reactor from Kerbal Atomics and MKS.